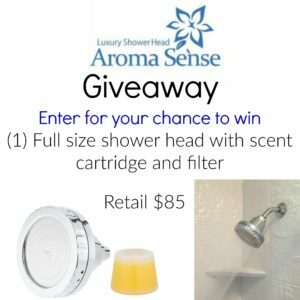 Mama The Fox is celebrating Dads & Grads and everyone else with a chance for you to enter daily to win this full size Aroma Sense shower head with scent cartridge and filler! HINT: If you scroll to the bottom you will find the rest of the blogs in the giveaway hop and can enter to win all kinds of prizes with each of them, too! This Sweepstakes ends on 06/08/16 and you can ENTER DAILY to win.